KEDkrafty: Okay, you asked for it! 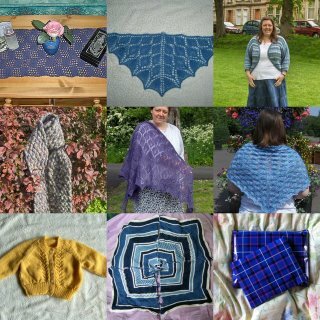 Here are all the items completed during the 97 day yarn diet for your perusal. I haven't been saving them up, I've just been posting about them as and when- they've been here on the blog over the last three months. Colours for fun, not links. Wow - what wonderful creations. Isn't it great to have a record of all the beautiful things you've made? I'm really curious to see what the Rowan exchange gift is! I am completely impressed! 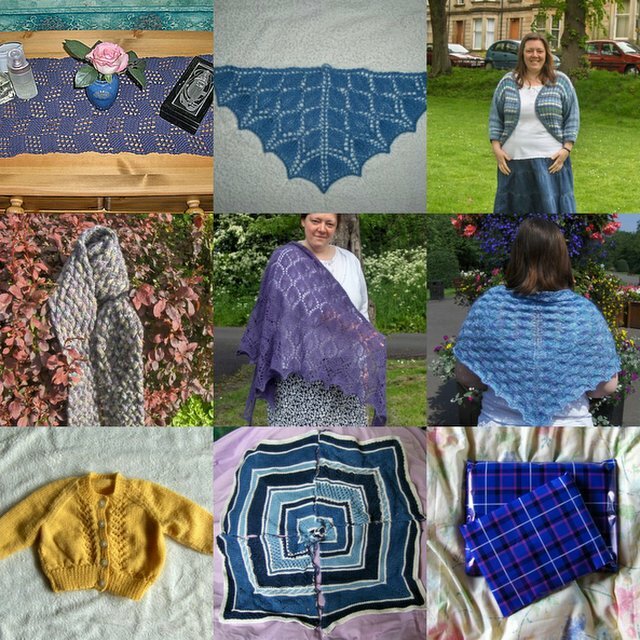 What beautiful things you've made, and what lovely yarn you've used! You have been busy! I'm impressed with all your goodies and all that yarn you've used up. Good going! Wow you have knitted so many lovely things. It must be even nicer to go yarn shopping after such a long break. I wouldn't have thought of using Kid Classic for a shawl, but it looks really good. Can you remember what size of needles you used? It's one of my favourite yarns and they have just added some wonderful new shades, much gentler and more sophisticated than the very clear shades they've had in the past. Wow Kathleen!! You've completed so many beautiful projects.